STUNNING-large CORNER LOT with SOUTH FACING BACKYARD on quiet cul-de-sac showcases this beautifully finished home w/over 2900 sqft of living space. SOARING 16' ceilings welcome you into a BRIGHT & SUNNY FOYER highlighted by EXOTIC hardwood flooring. LUXURY CONTINUES thru Spacious front entrance, front parlor & dining room to an open concept kitchen, family and nook area. All SUN DRENCHED from south facing backyard w/Sliding doors off of kitchen enticing you onto a MAGNIFICENT deck overlooking fire pit area. Kitchen island bistro & family room w/fireplace create an ideal ambiance for entertaining or family life. Main floor den w/built-ins & laundry complete this level. Master retreat w/sitting area is GRANDE w/French doors & Spa-like 5pc ensuite. 2 generous bedrooms & 4pc finish 2nd level. 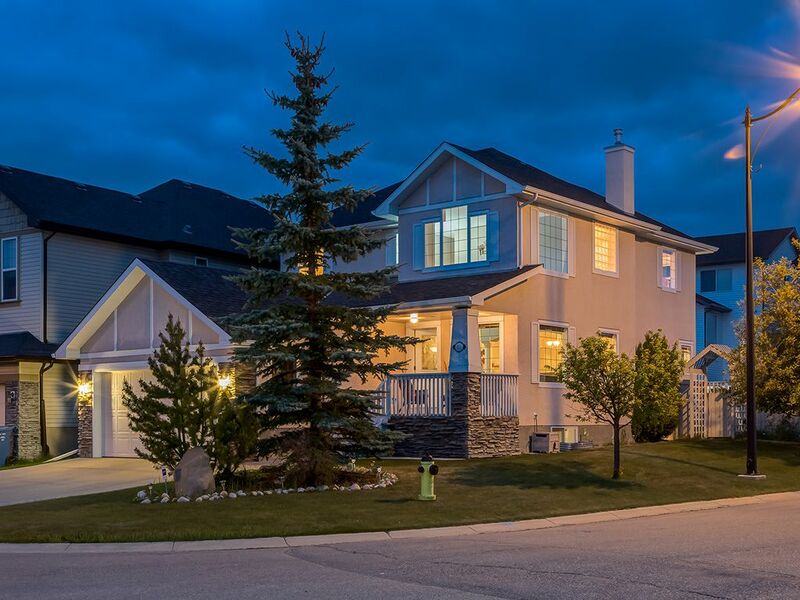 PROFESSIONALLY DEVELOPED bsmt includes quality: 9' ceilings, Entertainment room, media room w/home theatre system, 4th bdrm, 4pc bath & smart panel network connections make this home a must see!